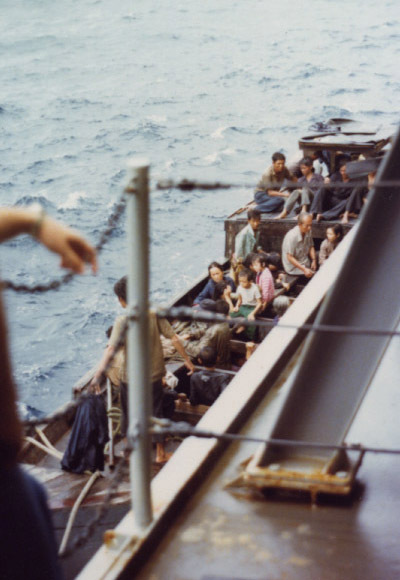 On August 9, 1978, somewhere off the coast of Vietnam, the ship rescued two boats of refugees, for a total of 77 people. 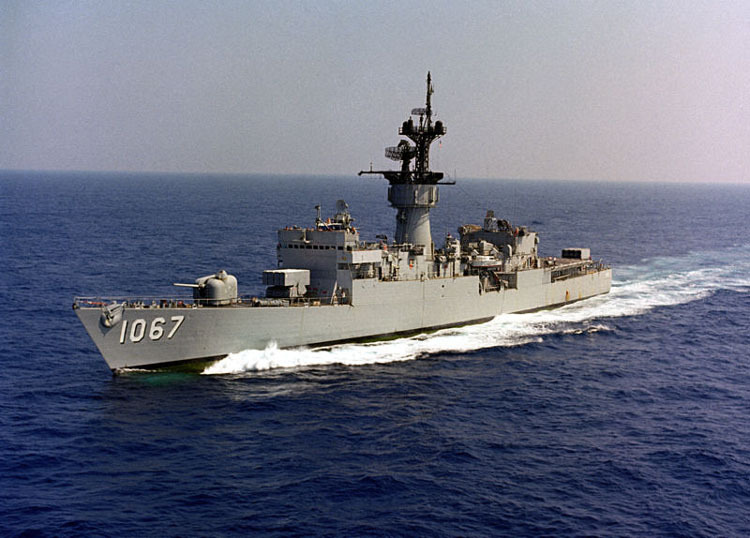 On 8 November, FF-1067 Francis Hammond rescued 85 refugees 200 miles southeast of the Vietnamese coast. The enclosed picture is of the first boat, before his captain, Commander James E. Auer, gave the people in the boat permission to come aboard his ship. Thomas said: "That day, I was never more proud of my ship and its captain, my navy, and my country. And I thought that the Vietnamese in the boat were brave (including a very old woman in her eighties)". Copyright © 2012-2014 Refugee Camps.info. All Rights Reserved.